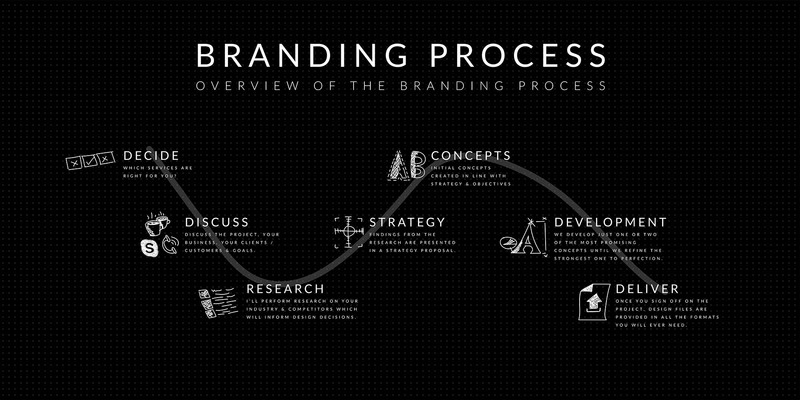 What is the process for a brand identity project? What steps does a Graphic Designer take to create a logo? How long does it take to have a website developed? 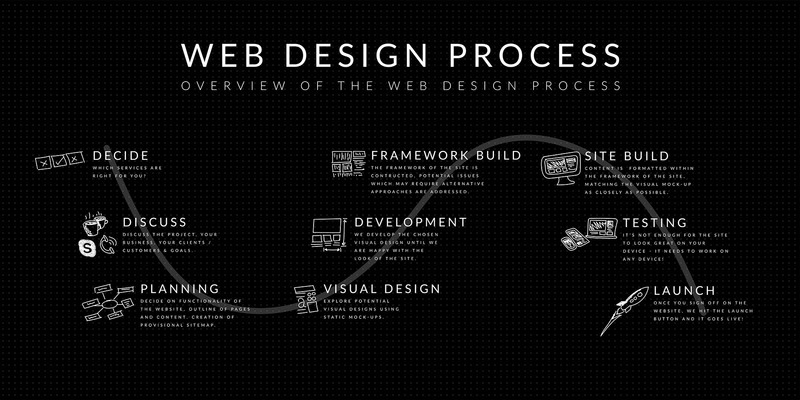 Having a clear, tried and tested process is important for both you the designer and your clients. It adds a layer of transparency to the entire project and ensures both parties know exactly where they are, with a realistic idea what lies ahead of them. I’m sharing my design processes for both Branding & Web Design – mainly because these are ice-berg projects. Much of the real work lies hidden beneath the surface. Unless you have a background knowledge of brand identity or web design and development, there are stages in the project where the average client will wonder what you are doing! That is, unless you take the time to clearly communicate what needs to happen and when. What better way to get this across than with a Road-map, a little infographic you create detailing the key stages of your design / development process.